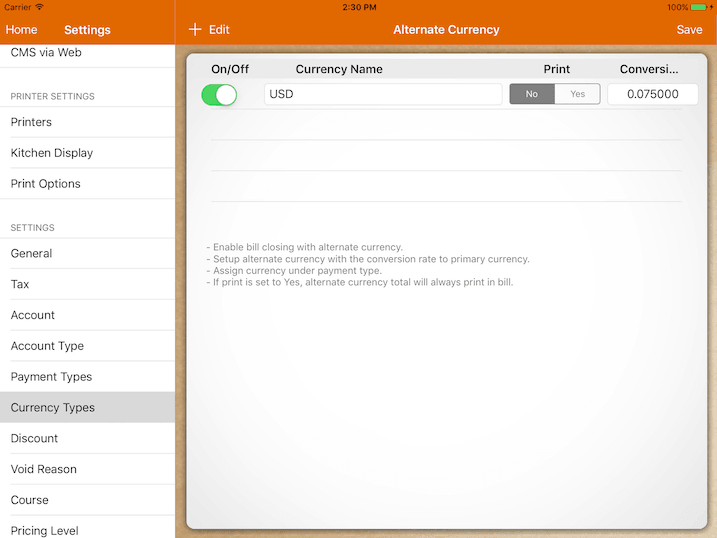 Setup to accept multiple currency with its conversion. For example if your primary currency is Mexican Peso and you do accept USD as well. The conversion rate would be 1 MXN = "conversion" USD. Select "Yes" for print if you want to print the alternate currency subtotal in each bill. 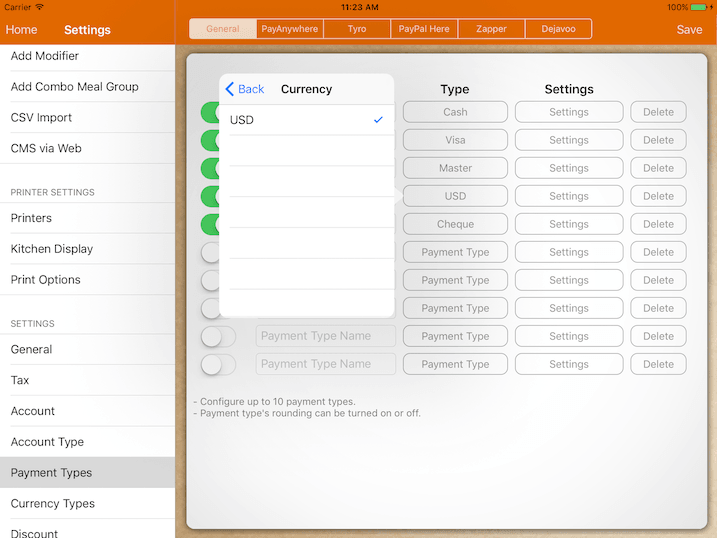 In order to pay using alternate currency, you have to setup a payment type with currency. Create a new payment type, set it's type to Alternate Currency and select your preferred currency. During the checkout process, if alternate currency payment is selected, the balance of the bill will show its value in alternate currency. 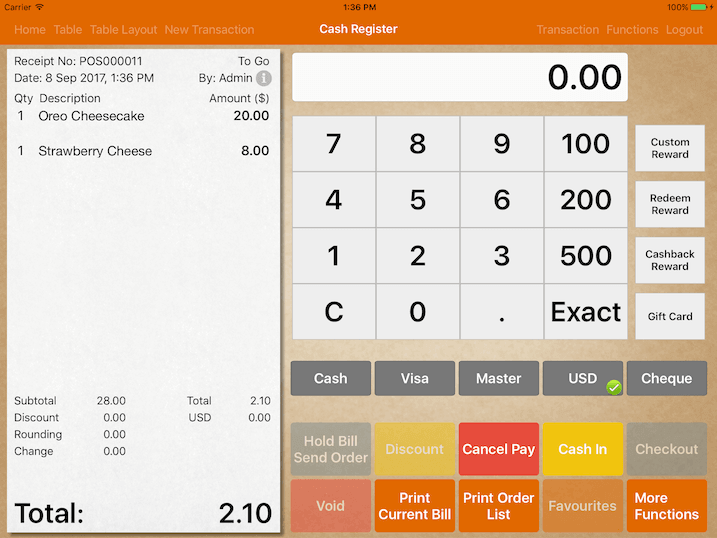 In the example above, the bill is originally 28.00 Pesos, but to close the bill in USD, you would only require $2.10.